So even though I also have a subscription to the Book Riot YA box, I decided to continue you on with the Adult BR box. I figured I could get a good mix still. So this is what was inside. 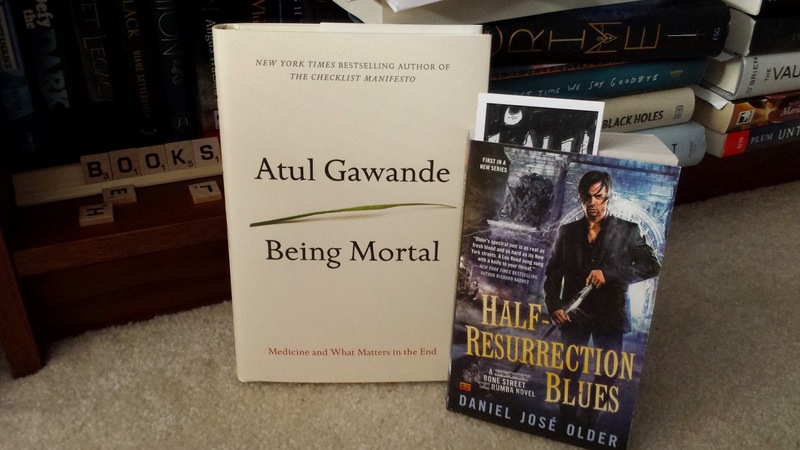 I'm actually intrigued by both books. My mom was more so with Being Mortal so I might give it to her and she can tell me what she thinks. 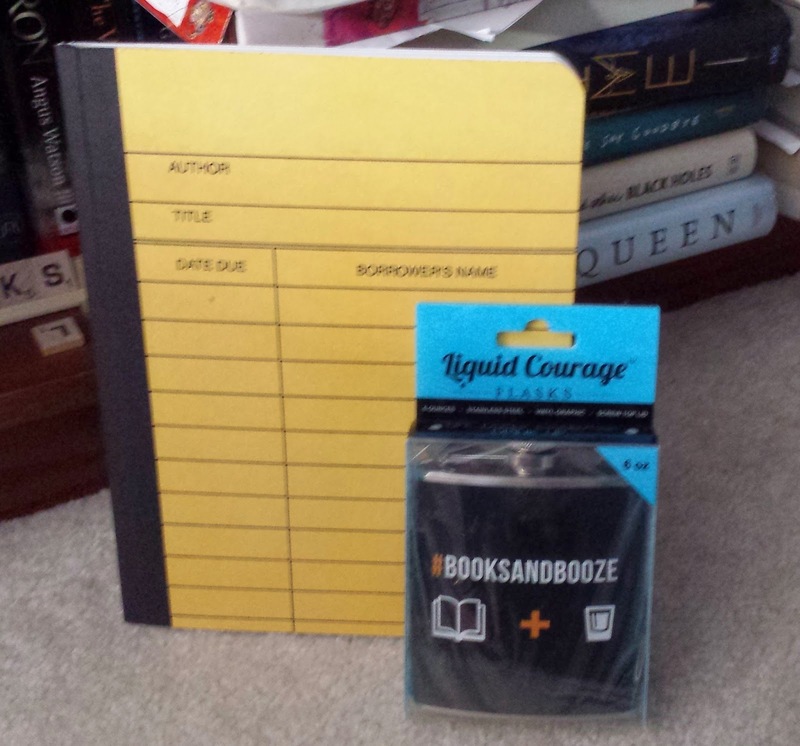 Yep a journal and a flask. This combo kind of made me laugh. I actually love journals and writing in them. The thing with me though is that I like to journal, get all my feelings out then rip out the pages from the journal and throw them away. It's kind of my way of throwing off the past I guess. I don't want to look back so keep the pages. So I haven't decided what to write in this one. 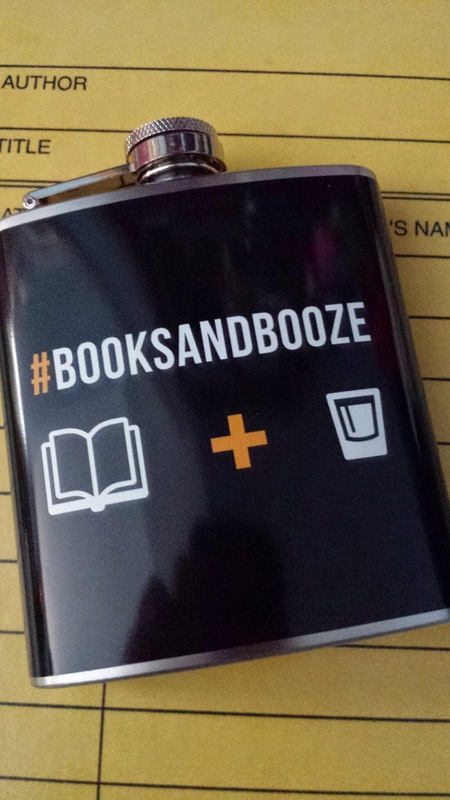 Maybe I'll fill the flask with some Whiskey (I love Whiskey straight) and write myself a novel. Or maybe journal about my adventures with the flask because I would love to see someones face if I was sitting on a bench reading with this bad boy by my side. 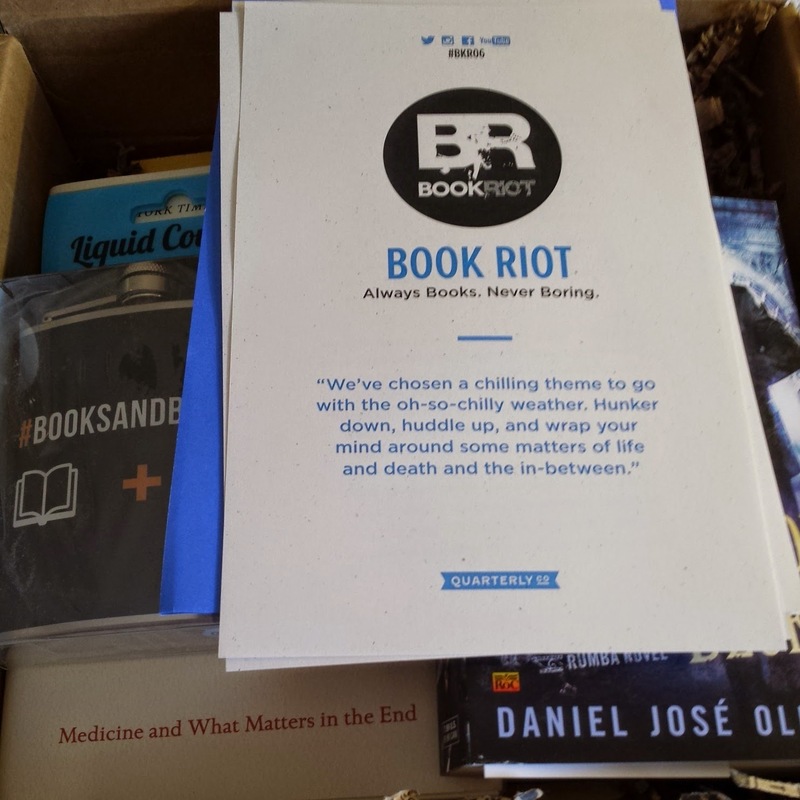 So I'm still undecided with my adventures with the Book Riots box. I actually was bummed because I would have loved to get one of the bonus books. It's one I've had my eye on or the book light. Maybe next time.